KAMPALA – As the desperate search for casual jobs abroad that has continued to haunt jobless Ugandans who are trafficked to Arab countries by unscrupulous agents to work as domestic servants, national workers body wants government to swing in action. 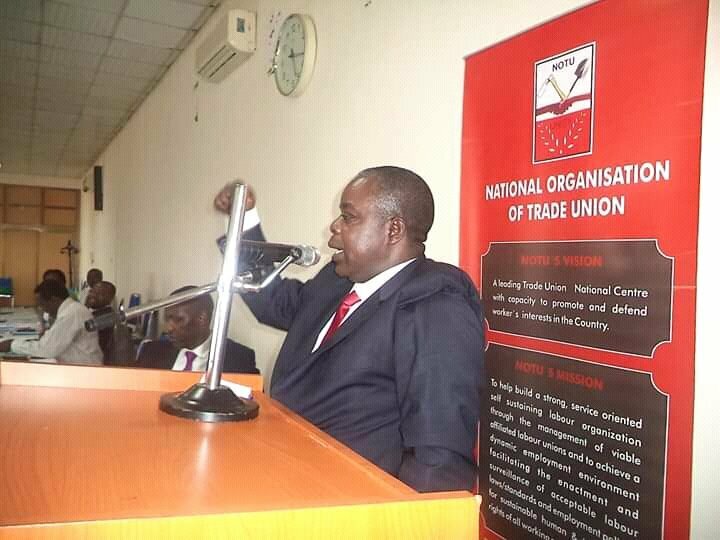 With the increase in the inhuman treatment, including sexual abuse subjected to them, the top leadership of National Organization of Trade Union (NOTU) wants government to urgently open up an Embassy in Qatar to protect all Ugandan workers who are recruited to work in the Middle East. The call was made by Mr Owere Usher Wilson, who was recently voted to serve the organisation as the chairman general. In a statement issued on social media, Mr Owere wants the government to urgently open an Embassy in Qatar to facilitate and easy monitoring of workers in those areas. “As Union we shall work hand in hand with all workers bodies, government and Employers in Oman, Qatar, Kuwait, UAE, Saudi Arabia and other countries in the Middle East,” he said. He explained said the embassy is to ensure that those Ugandans who work there are monitored and their rights are protected. In May 2017, an association of Ugandans living in United Arab Emirates cried out to Uganda government to run to the rescue of 33 Ugandan job-seekers who were stuck in Dubai. Also a report released by Uganda’s parliamentary committee on labour and gender issues last year, revealed that about 50 Ugandans, most of them women, had died in United Arab Emirates in 2017. Dr. Sam Omara, of the Ugandan Embassy in Abu Dhabi, was quoted by Khaleej Times, saying many of the suicide cases resulted from frustrations that lead to depression. “I believe most of the people decide to end their lives because of frustrations,” he said. “Some of these people are told by recruitment companies that they are coming here to get good jobs and with big salaries, and when they get here, they get frustrated when they find things are different. The group got stranded after being dumped there by a labour export firm linked to a former journalist, Dean Sava. Recently, the Ministry of Labour, Gender and Social Development tried to streamline procedures for employment abroad by liaising with labour exporting companies to ensure the job seekers’ rights not violated at their work stations away from home.